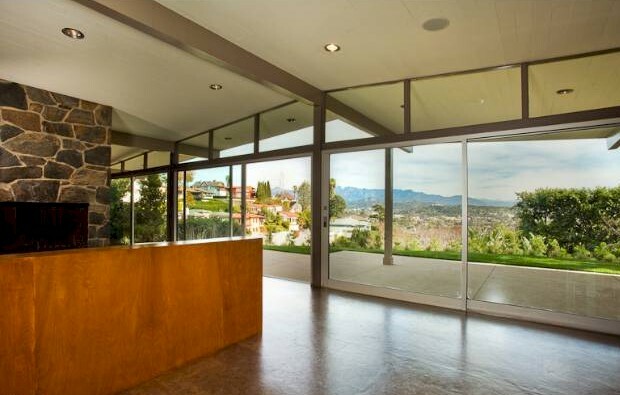 The Albers Residence was built in 1955 by Kemper Nomland & Kemper Nomland Jr., Architects. 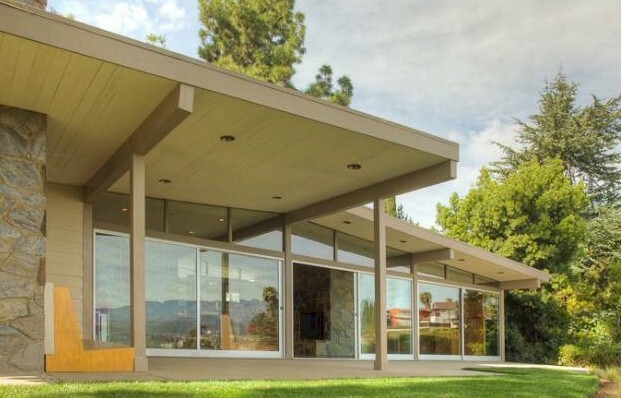 The Nomlands’ most famous house is the 1947 Case Study House #10 in Pasadena at711 San Rafael Ave. 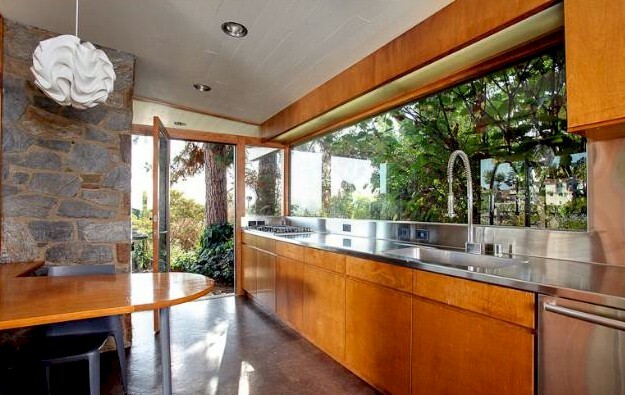 It is a post-war wood framed post and beam house with large walls of glass, set over a concrete slab. Other works of Nomland’s in the area include a French Normandy style residence at 3635 Shannon Road in Los Feliz and a West Hollywood house at 1030 North Kings Road. The Albers Residence at 3604 Lowry Rd is a fine example of of post- war modernist architure. In 2006, the Albers Residence was restored by Architect Mark Rios, FAIA, FASLA. Rios, founding principle of Rios Clementi Hale Studios, was the recipient of the 2009 Distinguished Alumnus Award from the USC Architectural Guild. Interestingly, Kemper Nomland Jr., received his degree in architecture from USC as well. Rios modernized and updated this Los Feliz mid century in keeping with the Nomlands’ original design and intent.